Join us on Saturday, December 15th from 10:00 am to 12:00 pm for pet pictures with Santa! Your pet wants a chance to tell Santa that he's behaved all year. Donations are welcome to benefit the Humane Society of St. Joseph County. Donation needs include; cat food, dog food, cat litter, leashes and collars, blankets, dog shampoo and Kong toys. For more ideas, click here. Hold On to Your Hard Hats! 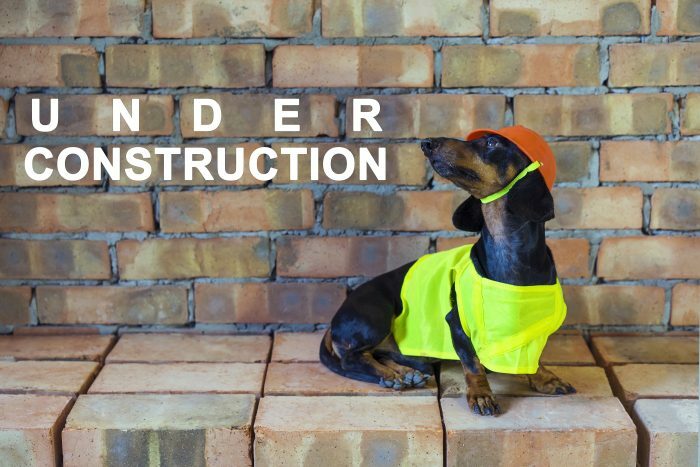 We will be closed on Thursday, February 22nd – Sunday, February 25th for the installation of new flooring in the hospital! While we realize this may be an inconvenience to some, for the safety of you and your pets, it is in the best interest of everyone that we close for this period of time. What if my pet is sick? Not to worry! We will have staff available to answer phone calls during regular business hours, and if necessary, refer you to a local clinic that will be handling our emergencies. After-hours emergencies will be handled as usual by the Animal Emergency Clinic. Time to show your talents! 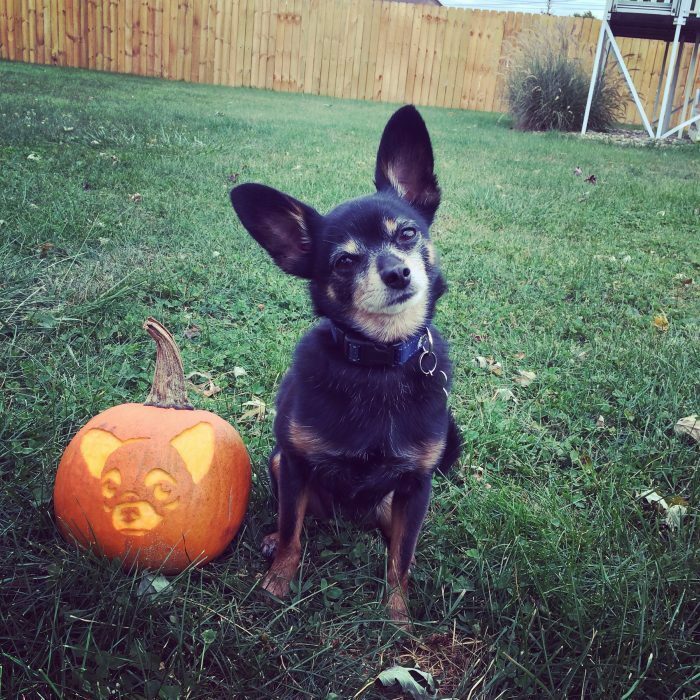 We want to see you carve, decorate or paint a pumpkin that looks like your pet! Send a picture of your completed work along with your pet to info@morrisah.com by Monday, October 23rd. We'll post the photos to Facebook. Whichever photo has the most likes by Midnight on Monday, October 30th is the winner! We have prizes for the top three winners! We're at it again! 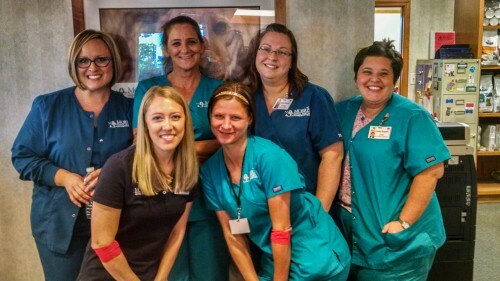 Join us at Morris Animal Hospital on Saturday, September 16th from 9:00am to 1:00pm for our third annual blood drive! We'll be taking blood donations from canines too! Join us to learn more about canine donations. Our canine donors have already been preselected. Be a hero, save a life and sign up here! On July 22nd, we'll be celebrating our accreditation with the American Animal Hospital Association! We are proud to be in the 12% of animal hospitals in the U.S. and Canada to earn this high distinction. We voluntarily put our hospital, protocols and staff under a rigorous inspection where we meet over 900 standards of care! Stop in to learn more and grab some treats - human and animal 😉 - while you're at it! Beginning Monday, June 19th, we will have new hours of operation: Mondays 7:30 am to 7:00 pm, Tuesday - Friday 7:30 am to 6:00 pm, and Saturdays 7:30 am to 1:00 pm. 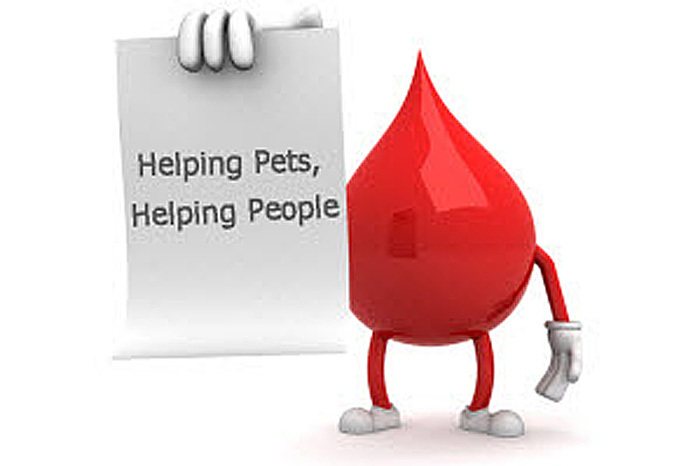 Join us at Morris Animal Hospital on Saturday, October 15th from 10:00am to 2:00pm for our annual blood drive! Be a hero, save a life and sign up here! Enter MorrisAnimal in the sponsor code field. On August 15th we'll be celebrating National Check the Chip Day! Join us for free microchip scanning and receive access to update chip registration and information. Is your pet not microchipped? We're offering $25 microchips and registration all day, no appointment necessary! Help your bet have the best chance at returning home. On July 22nd, we celebrated our accreditation with the American Animal Hospital Association! We are proud to be in the 15% of animal hospitals in the U.S. and Canada to earn this high distinction. We voluntarily put our hospital, protocols and staff under a rigorous inspection where we meet over 900 standards of care! Thank you to everyone who came to get a picture with Santa! We were able to donate over one-hundred dollars in monetary donations to the St. Joseph County Humane Society and items such as food, litter, toys, and treats all because of your generosity! Join us at Morris Animal Hospital on Saturday, December 12th from 10:00am to 12:00pm and get your pet's picture taken with Santa! We will be accepting donations during this time for the St. Joseph County Humane Society. You can bring items such as cat food, cat litter, dog food, bowls, and treats. See you on the 12th! 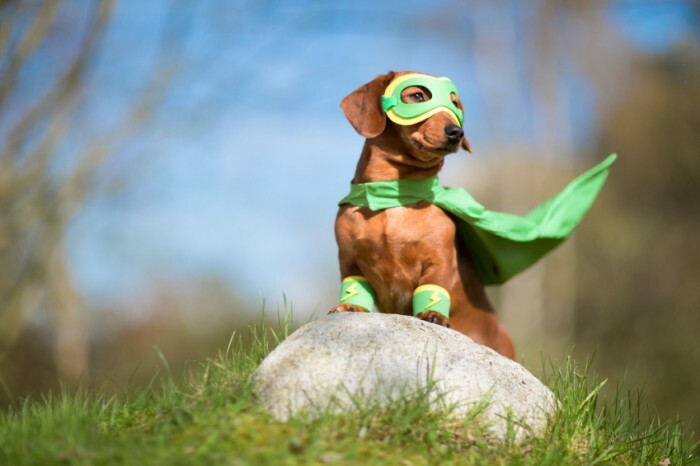 Congratulations to Bernard, our 2015 Halloween Pet Costume Contest winner! Check out our Facebook page to see all of our participants! Calling all pets! Our Halloween Costume Contest is Saturday, October 31st, from 8:00 a.m. to 2:00 p.m.! Come and get your pet's picture taken and enjoy some treats. We have prizes for the top three winners! Our Blood Drive was a HUGE Success! Thanks to all our human and canine heroes who turned out to donate during our recent blood drive. We had a great turnout, from both our own staff, and from the community. We saved some lives! Click here to see more photos from the event! Spring Has Sprung! Make Sure Your Pet is Protected! Fleas, ticks, heartworms, and intestinal parasites abound! Make sure your pet and your family are protected. Ask us about all the latest convenient options available! Congratulations to Maestro, the Incredible Hulk! He was this year's Halloween Costume Contest Winner. We're celebrating! We just passed another rigorous American Animal Hospital Association evaluation! AAHA-accredited hospitals voluntarily choose to be evaluated on over 900 standards of care, and only 15% of all hospitals in the US and Canada achieve accreditation. AAHA-accredited hospitals are recognized among the best in the industry, and are consistently at the forefront of advanced veterinary medicine. 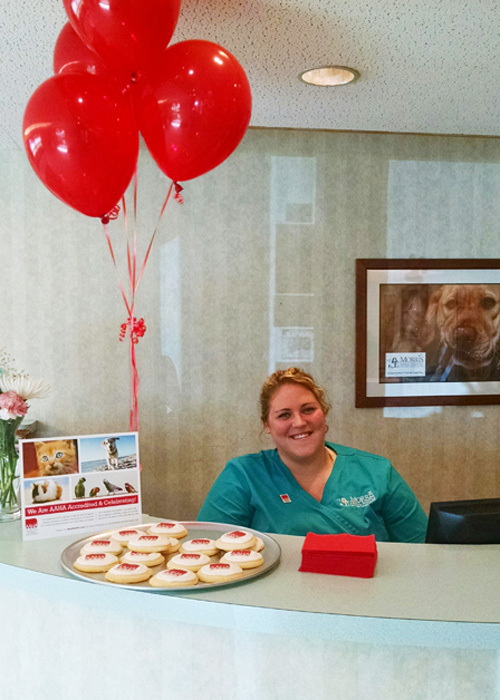 Click here to learn more about why AAHA accreditation matters to you and your pet! Head on over to our Facebook page to see some great photos from our summer picnic on the East Race! Dr. Doug, Sarah, and Matt Morris recently spent a week in Haiti assisting the people and animals still suffering after the 2010 earthquake. Great job, guys! See more photos from this amazing trip on our Facebook page. We've recently finished the installation of our brand new digital x-ray system! The images are absolutely amazing. We can now obtain incredibly detailed images more quickly while using less radiation. The brochure, "Online Pet Pharmacies. Protect Yourself and Your Pets: Be A.W.A.R.E." was released earlier this year by the FDA. The brochure informs consumers how to protect themselves from fraudulent online pharmacies. LASER SURGERY--what's all the hype?! Lasers have been successfully used in human medicine for over 30 years. At Morris Animal Hospital, your pet benefits from this cutting edge technology! Less Pain - The laser seals nerve endings as it "cuts." As a result, your pet will experience less pain and be more comfortable after surgery. Less Bleeding - The laser seals small blood vessels during surgery. This also helps reduce the time your pet needs to be under anesthesia, which reduces complications. Less Swelling - Laser energy does not crush, tear or bruise tissue because the only thing that touches your pet is an invisible beam of light. Greater precision - The laser can remove unhealthy tissue while minimizing adverse effects to healthy surrounding tissue. Quicker return to normal activities - Healing is rapid and there is less post-operative discomfort.